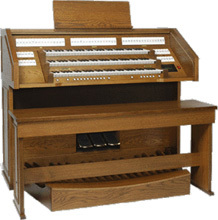 Since 1980 Content Organs have proven to be a strong and inventive player in the organ field. Continued research allows Content to offer high quality at an excellent price. Content always looks for creative solutions, responding quickly to reactions from the market and striving for a continued development and implementation of components. The quality and value of our instruments is confirmed by an ever growing number of users, both professionals and amateurs,- from around the globe. 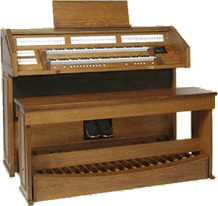 We are pleased to introduce you to the sound world of our Content Organs.